FROM THE PRODUCERS OF BOWLING FOR COLUMBINE, FAHRENHEIT 9/11 AND GENERATION IRON. 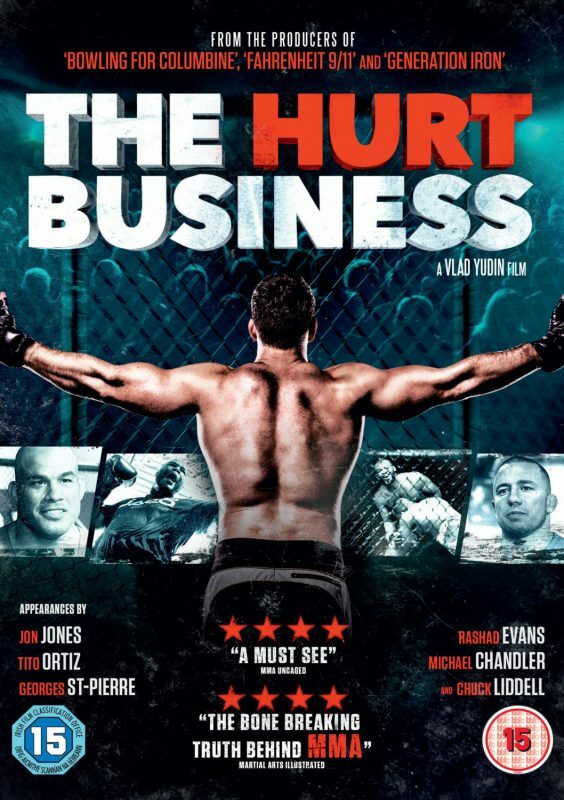 The Hurt Business details the lives of various MMA superstars, including Ronda Rousey and Jon Jones, competing in one of the fastest growing sports in the world and the struggles and triumphs that accompany all careers in cage fighting. Besides featuring a number of the sport’s biggest names, such as Georges St-Pierre, Chuck Liddell or Tito Ortiz, and up-and-comers in the sport, the film covers the history of mixed martial arts fighting, from the coliseums of ancient Greece to modern day venues such as the MGM Grand in Las Vegas, all expertly narrated by Kevin Costner.